Bernhard Lichtenberg was born on December 3, 1875 at Ohlau, some 30 kilometers southeast of Breslau in the then Prussian province of Lower Silesia. He was the second oldest of five siblings. The small merchant family of the Lichtenbergs belonged to the Catholic minority in a predominantly Protestant city. In 1886 the Catholics made up some 31 per cent of the 15,787 strong population of Ohlau. There was also a tiny Jewish community of 123 (0.8%). Bernhard Lichtenberg obtained his Abiturium (school-leaving exam) at the local gymnasium and decided to dedicate himself to the priestly vocation. He studied theology in Breslau and Innsbruck and in 1899 was ordained as a priest. Thereafter, Lichtenberg pursued a career in the Catholic Church, which after 1913 became centered in Berlin. Having served for more than a decade as minister of the Heart of Jesus community in Charlottenburg, Berlin, he was called in 1932 to be Cathedral rector of the St. Hedwig Church. At the same time, Lichtenberg also became involved in Catholic politics, serving from 1913 to 1920 as a representative of the Center party in the District Assembly in Charlottenburg and from 1920 to 1930 as a member of the regional parliament of Wedding. After WWI, in which he saw service as a military chaplain, Lichtenberg became a member of the Peace Association of German Catholics [“Friedensbund Deutscher Katholiken”] and in 1929 was elected to the board of the Inter-Denominational Working Group for Peace [Arbeitsgemeinschaft der Konfessionen für den Frieden]. Already in 1931, Lichtenberg's signing of a call inviting Catholics to watch a performance of the film version of Erich Maria Remarques' anti-war film ‘All Quiet on the Western Front’, brought upon him a vicious attack by Goebbels' paper Der Angriff. On 31 March 1933, two months after the Nazi takeover, Lichtenberg arranged for the Jewish banker Oskar Wassermann to meet with Cardinal Bertram, Archbishop of Breslau and President of the German Episcopal Conference, in a vain attempt to convince him to intervene to prevent the antisemitic boycott of Jewish businesses planned for the next day. Bertram, however, typically regarded the whole issue as lying outside the Church's sphere of activity. In marked contrast to the majority of the Catholic and Protestant Church establishment during the Holocaust, Lichtenberg thought from the beginning that as a Catholic priest he was bound to help while the Jews were being robbed of every vestige of their civil and human rights. The situation reports of the Potsdam State Police for February 1936 tells of a religious meeting held in Berlin between Lichtenberg, two rabbis, two ministers of the Protestant Confessing Church and a number of "non-Aryan" laymen. “The meeting reportedly reached the conclusion that the German people will have much to atone for with regard to the Jews“. 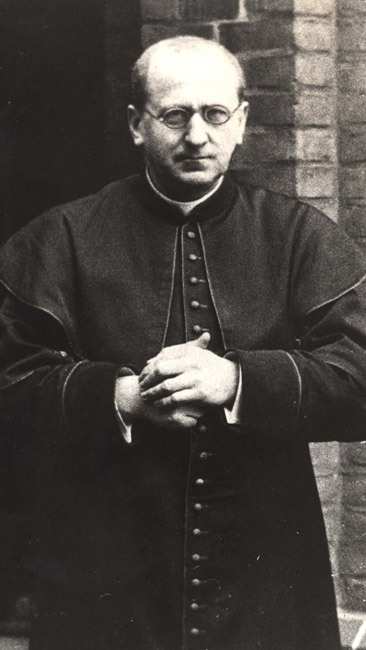 In August 1938, Lichtenberg, who had been elected Cathedral Provost [Domprobst] the previous year, was put in charge of the Relief Office of the Berlin episcopate, which assisted many Catholics of Jewish descent in emigrating from the Third Reich. Under the impression of the Kristallnacht pogrom of 9/10 November 1938, while the German churches – including the dissident Confessing Church – kept their silence in face of the vicious attack upon the Jews, Lichtenberg raised his voice publicly and fearlessly against Nazi brutality. “We know what happened yesterday, we do not know what lies in store for us tomorrow. But we have experienced what has happened today: Outside burns the temple. This is also a place of worship. From that evening until his arrest on 23 October 1941, Lichtenberg continued to pray daily from his pulpit in the St Hedwig Cathedral for the both Jews and Jewish Christians as well as other victims of the regime. After the outbreak of war, Lichtenberg prepared an application addressed to the Berliner the official responsible for air raid shelters, protesting against the racial segregation in the air shelters decreed by the order from 14 December 1939. Lichtenberg’s anti-Nazi stance and his continued protests against the persecution of the Jews were bound to bring him into direct conflict with the oppression machinery of the National Socialist State. Two women students who had heard him pray publicly for Jews and concentration camp inmates denounced him to the police. In the search that the Gestapo carried out in Lichtenberg’s home on October 23, 1941 they found a pulpit proclamation that Lichtenberg had meant to be read on the upcoming Sunday. The proclamation was crafted in response to a Nazi leaflet circulated by Goebbels’ Propaganda Ministry in which the Germans were warned not to offer help to Jews, not even by friendly greeting. In the declaration, Lichtenberg wrote: “An anonymous slanderous sheet against the Jews is being distributed to Berlin houses. This leaflet states that every German who supports Jews with an ostensibly false sentimentality, be it only through friendly kindness, commits treason against his people. Let us not be misled by this un-Christian way of thinking but follow the strict command of Jesus Christ: ‘You shall love you neighbor as you love yourself’”. Towards the end of Lichtenberg’s two year prison term, Bishop Prysing of Berlin visited him at the Tegel prison and delivered to him the proposal of the Gestapo that they would allow him to remain free if he promised to refrain from preaching for the duration of the war. However, Lichtenberg asked instead to be allowed to accompany the deported Jews and Jewish Christians to Lodz/Poland in order to serve there as a pastoral minister. Prysing, who was deeply worried about Lichtenberg’s failing state of health, tried in vain to dissuade him from the idea. In face of Lichtenberg’s unyielding opposition, the Nazi security service [SD] ordered his internment in the Dachau concentration camp. 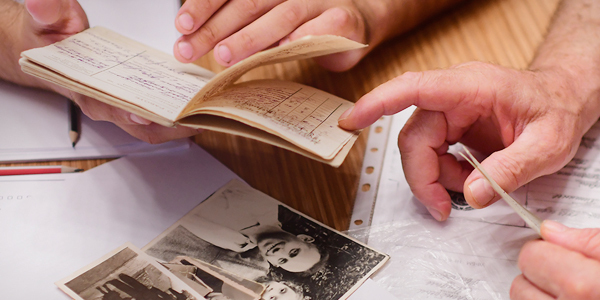 While waiting to be deported to the camp, the 67 year old fell gravely ill and died on November 5, 1943. On 7 July 2004 Yad Vashem recognized Bernhard Lichtenberg as a Righteous Among the Nations.